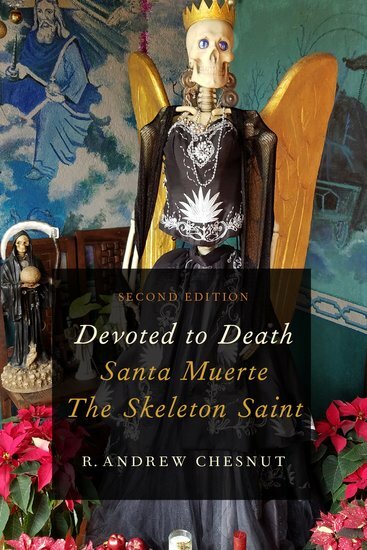 In accord with the overarching theme of my book, Devoted to Death http://www.amazon.com/Devoted-Death-Santa-Muerte-Skeleton/dp/0199764654 I spoke to the international audience of the multifaceted identity of Saint Death and of some of the latest trends, such as her growth beyond Mexico and Mexican immigrants in the U.S.. Given both media and now academic portrayal of Santa Muerte as a narco-saint, I tried to highlight her other roles, such as curandera (healer) and love sorceress. And of course, I emphasized the point that it is the Bony Lady’s reputation as the fastest and most efficacious miracle-worker on the Mexican landscape that propels her unparalleled growth. If there was an overarching theme at the conference, although unintentional, it was a polarization of perspectives. On the one hand, several colleagues, who haven’t done extensive field research, attempted to explain the rise of devotion to Santa Muerte as a function of larger socioeconomic and political forces, such as extreme narco-violence and the failed Mexican state. Focusing on “cultures of illegality” Mexican scholar Jose Carlos Aguiar was the presenter who most explicitly linked the Bony Lady to drug violence. Dr. Aguiar stressed her role as patroness of narcos, especially of the Zetas Cartel. The voices of actual devotees were completely silent in his presentation. Also presenting a macro-level analysis was German scholar who comes to the subject from an urban studies angle. Though she hasn’t done fieldwork beyond taking stunning photos at Dona Queta’s famous shrine in Tepito, Anne Huffschmid also linked the Bony Lady to narco-violence, but cast her more as protectress of its victims as opposed to patroness of its perpetrators. Both she and Dr. Laura Roush of the Colegio de Michoacan were the presenters who most explicitly linked the rise of St. Death to the climate of economic and political insecurity engendered by the failures of the Mexican state. Both academics counted among several who mentioned the case of the missing 43 Mexican college students and the lightning rod that it has become for anti-government protests nationwide. At the opposite pole was Danish scholar Regnar Kristensen, who has been studying the saint of death during the past 12 years. Ignoring the larger Mexican body politic, Dr. Kristensen focused on the importance of the family unit as the basis for both devotion and growth. An anthropologist, Kristensen squarely locates Santa Muerte within Mexican folk Catholicism and sees much more continuity than novelty in her devotional practices. In fact, the only significant novelty that the Danish academic sees in veneration of her is intimacy. He argued that devotees bring her into their families where she is treated in a more intimate and tender manner than other saints, of both the Catholic and folk varieties. While he has done more extensive fieldwork than other scholars, it has been conducted exclusively in Mexico City, with a sharp focus on Dona Queta’s shrine and her extended network of devotees. Mexican anthropologist Aguiar, who is from Guadalajara, criticized Kristensen for his “narrow focus” on the Tepito shrine and Mexico City. Overall, the conference was a mixed bag for me. On one hand, I was thrilled to be in the company of the small group of international scholars who have published journal articles and books chapters on the White Girl. 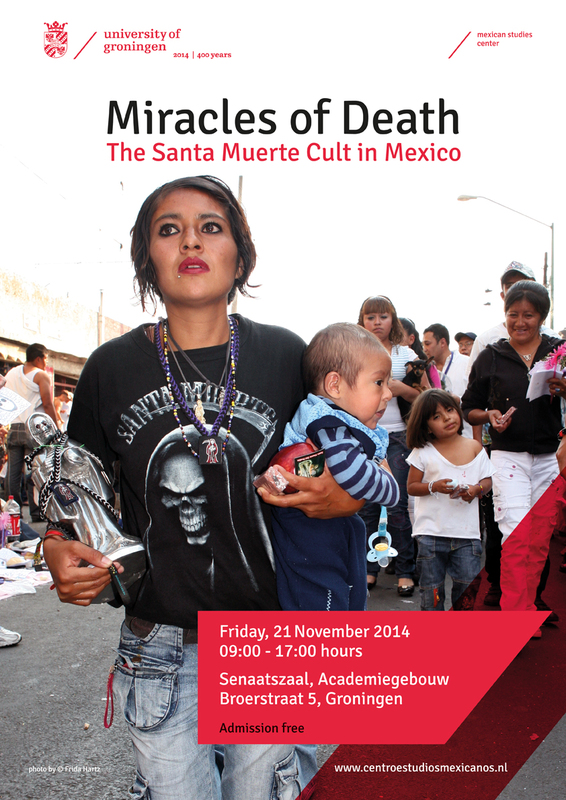 On the other hand, I felt frustrated by the overarching tendency to divorce Santa Muerte from her religious context. Above all, devotion to Saint Death is a matter of religion in which followers, pray to, give thanks and venerate a supernatural figure whom they regard as an omniscient and almost omnipotent miracle-worker. Too many of the presenters, perhaps reflecting highly secularized Western Europe, adhered to the Marxist view of religion as an epiphenomenon of the sociopolitical phenomenon. In other words, they regarded the meteoric rise of this new religious movement as a function of the dysfunctional Mexican state and the ongoing narco-violence. I myself in Devoted to Death situated the proliferation of cult within these macro contexts because there is an undeniable dialectic between religion and society in which they exert mutual influence on each other. What I categorically reject, however, is a reductionist approach that posits the rapid growth of the cult as a mere function of hyper-violence and socio-political insecurity. No doubt, devotion to Santa Muerte has proliferated during a time of great death and dying, at least 80,000 since 2006, but to view the Mexican killing fields as the main reason for her growth is myopic. If Santa Muerte has become the fastest growing new religious movement in the Americas it’s because of her reputation as the quickest and most efficacious miracle worker. Her 7 Powers votive candle, made of 7 different colors, best captures the appeal of the multitasking Mexican folk saint who can work miracles on multiple fronts. Pingback: TheoFantastique | A meeting place for myth, imagination, and mystery in pop culture. I know you are an academic scholar and I have been able to look over your ground breaking essay on the Lady. Myself, being of Mexican and Italian decent, I do not read or speak Spanish, but would like to ‘work’ with La Muerte, could you recommend a good guide? Also, does her cult have any older pre-catholic rites to it?